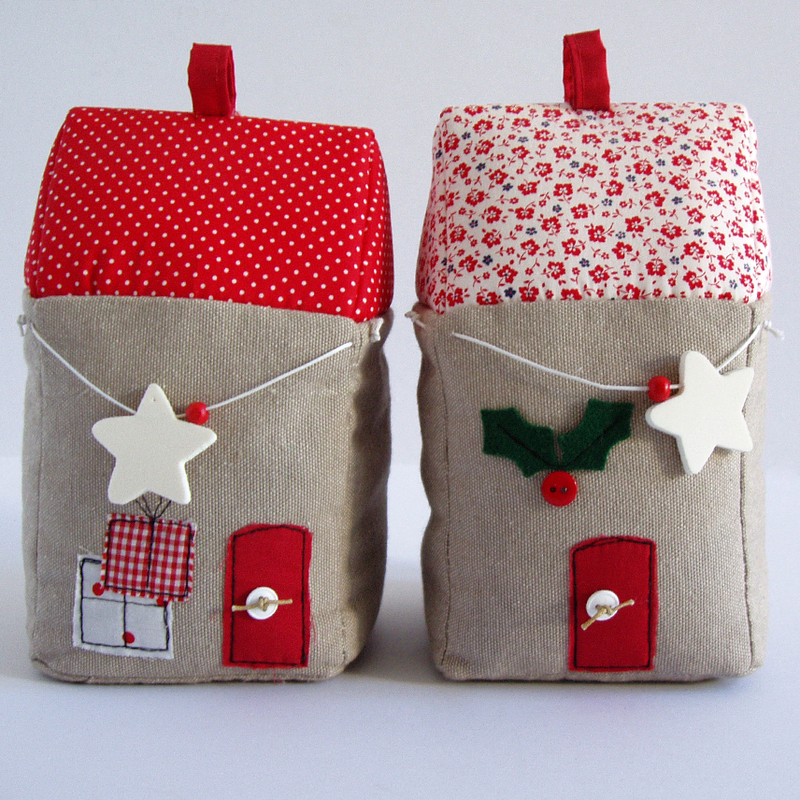 Set of 2 fabric bookends, shaped houses, in red-beige shades, with Christmas decorations: gifts – star and red dots housetop & mistletoe – star and floral housetop. The item is filled with recyclable material. Materials: fabric, string, buttons, synthetic material, recyclable filling.